Because there could be a future Shakespeare in your class. 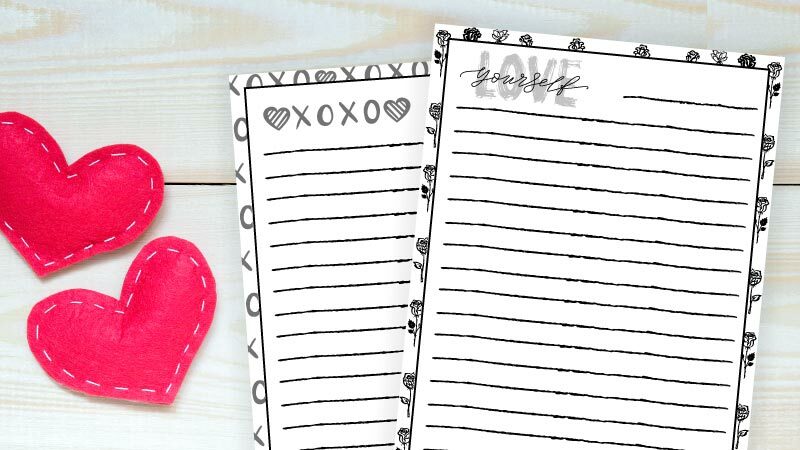 Use our free Valentine’s Day writing paper to inspire your student writers. Who knows? Maybe they’ll turn out the next great love poem or two. Plus, be sure to check out our Valentine’s Day writing prompts below. To get the paper, just submit your email here. 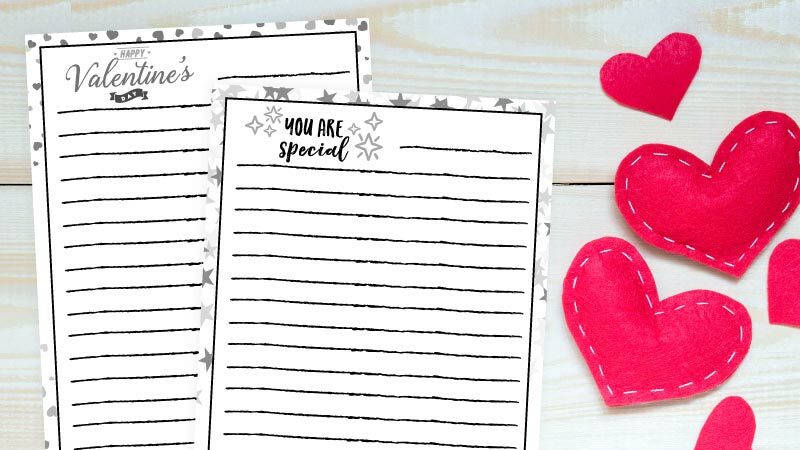 For an extra festive touch, print on pink, red, or purple paper instead of white! And if you use the writing paper, we’d love to hear about it—email submissions@weareteachers.com with your story and pictures of students’ work! Do you celebrate Valentine’s Day? Why or why not? If you celebrate, what are some of your favorite holiday traditions? Why do you think we get off school for certain holidays, like Thanksgiving, but not others, like Valentine’s Day? Should Valentine’s Day be a school holiday? Some people say that Valentine’s Day only exists because companies want you to buy things, like cards and gifts, for your friends and family. What do you think? So many Valentine’s Day cards feature puns and wordplay. What’s the funniest Valentine’s Day pun you can think of? 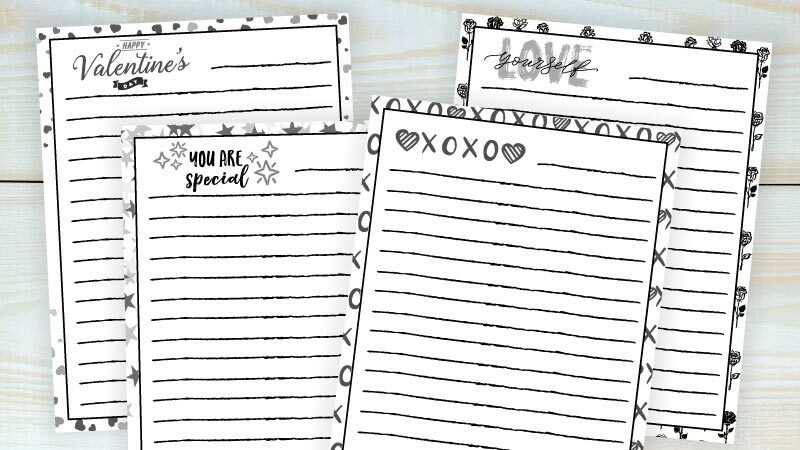 Write a Valentine to someone who deserves a little extra love and thanks this year. The maker of the classic Valentine’s Day candy, conversation hearts, went out of business in 2017! Will you miss this treat? Why or why not? How should we treat the people that we love? Is there a difference between how we should treat a loved one and a stranger? Why or why not? Is Valentine’s Day only for romantic love, or is it also a celebration of friendship and family love? Defend your position. Before computers and email, people sent more hand-written cards and letters. Is the fact that we use emails and text more often now a loss or a gain? Why or why not?